If you’re on Instagram as often as we are (read: all the freaking time), then you’ve probably picked up on the fact that influencers and celebrities often go to the same places and take eerily similar shots (we’re talking down to the exact pose). One woman even stalked a travel blogger Lauren Bullen around the world just to recreate her photos. 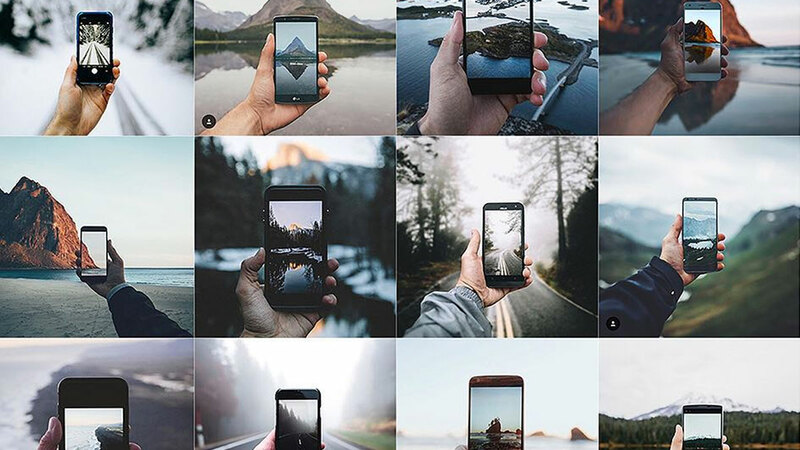 Well, a 27-year-old Alaskan filmmaker created an account called “Insta_Repeat” to highlight all the photo trends. People in Insta_Repeat’s comments section have mixed feelings: Some applaud her project for pointing out the toxicity of these photos while others deem it too negative because what’s so wrong with taking pretty pictures?